Few figures in American history have held as many roles in public life as John Quincy Adams. The son of John Adams, he was a brilliant ambassador and secretary of state, a frustrated president, and a dedicated congressman who staunchly opposed slavery. 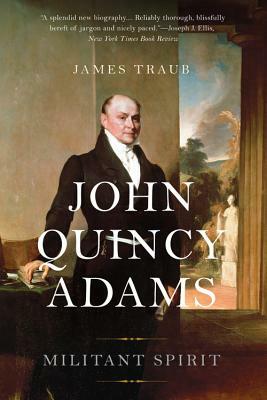 In John Quincy Adams, scholar and journalist James Traub draws on Adams's diaries, letters, and writings to evoke his numerous achievements--and failures--in office. A man of unwavering moral convictions, Adams is the father of foreign policy "realism" and one of the first proponents of the "activist government." But John Quincy Adams is first and foremost the story of a brilliant, flinty, and unyielding man whose life exemplified admirable political courage. James Traub is a columnist and a regular contributor at ForeignPolicy.com and teaches foreign policy at New York University. He lives in New York City. love but demanded respect as he matured into a champion of liberty for all.